The fading of the last sun rays awakens, in an unknown vertigo, an overcrowded space, a multiple and inconceivable luminosity. Darkness is like replaced by sand where each grain is glittering. The viewer, then, tells himself the anthropic light pollution deprives him, everywhere else, of such a vision. Even, in the Atlantic Ocean or in the Mediterranean Sea, even far off the shores, it is impossible to access this revelation because of the evaporation. In Zood Khun, the pure atmosphere is frequently too dry to be veiled with an imperceptible mist, that an arid soil would, nevertheless, be hardly able to provide. 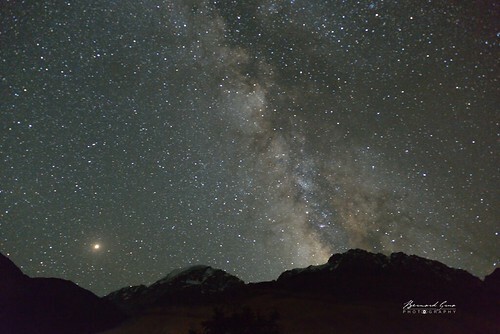 At an altitude close to 3,500m, the rarefied air does not prevent the radiations of the stars as it happens in lower lands. 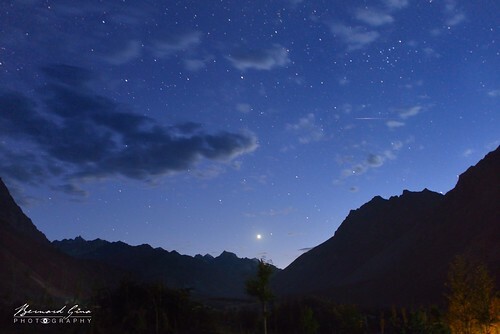 The village is so far away from any urban center and from the Karakoram Highway (KKH) that no artificial light might pollute the sky. 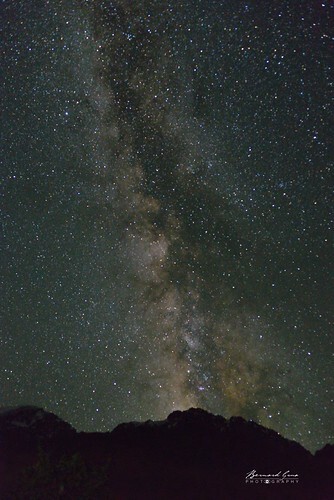 During nights with no winds, no dust tarnishes the crystal clear firmament. Thus, the eye, if it avoids being distracted by the regular falling stars, distinguishes an almost contiguous multitude of colored glitters. Behind these ones, other gleams extend towards an obvious infinite. Although its measure defies all imagination. 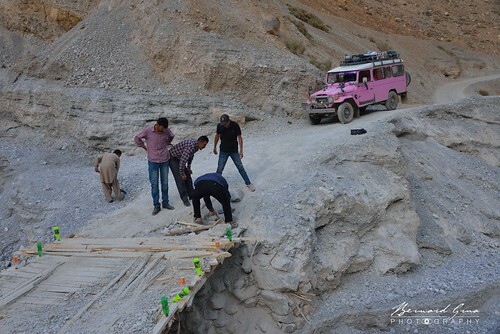 It is possible to reach Zood Khun in three hours from Sost (on the KKH), taking the pink or blue (depending on the day) cargo jeep leaving between 2:00 PM and 2:30 PM from Baba Ghundi Hotel (not to be confused with Baba Ghundi Shrine at the end of Chapursan Valley). It will cost you 250 roupies (year 2018). As you go up and head west, stay on the right side of the car if you want to capture the beautiful and sometimes dramatic sceneries of this (very) narrow rough “road”. Travellers can be accommodated in Zood Khun thanks to the famous Alam Jan Dario , a guide, a poet and a singer. 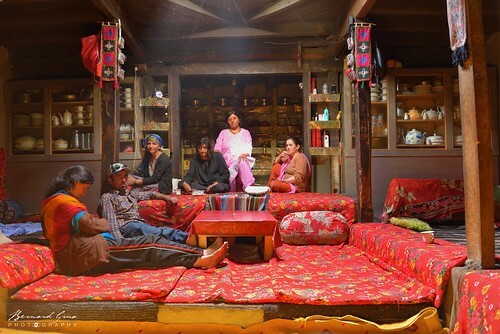 He runs, with his relatives, the Pamir Serai (Website: Pamir Trails, Facebook pages: Pamir Serai and Pamir Trails), a small and warm family guesthouse. He has frequent contacts with Kirghiz herders from Afghan Pamir who cross the Irshad Pass (4,995 m). 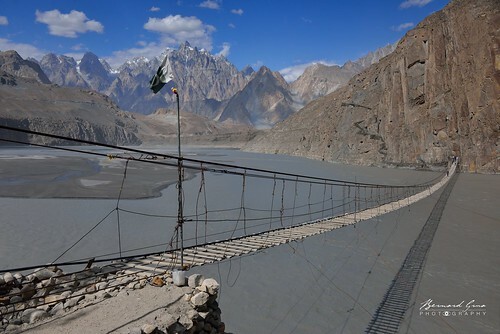 They come, here, to barter livestock against cereals, flour and Pakistani or Chinese commercial goods missing in their high altitude settlements (between 4,000 m and 5,000m, including in winter). Thanks to the Aga Khan Foundation's program, most of the people and all the children (boys and girls) of the valley have an amazing level of education. They speak a very good English, too. The lovely inhabitants, all Wakhi and Ismaili, are truly peaceful, honest and friendly. In opposite with most of the world touristic places (which Zood Khun is not), they will never harass you. However, they will be delighted to talk with you to share their love of their splendid mountainous homeland and to invite you for a cup of tea. Last but not least, if kids proudly propose you to visit their school, you should not refuse. They will be happy. You will be welcome by them and by their teachers. You will learn a lot about life in this so unusual part of the world and will be connected with all families.